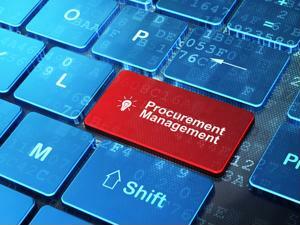 Streamlining the procurement process is no small feat. For many companies, there is an almost inexhaustible number of factors to consider when it comes to minimizing risk and expenditure while simultaneously maximizing the efficiency of their sourcing strategies. This is especially true as global sourcing continues to become the norm, and even small and mid-sized businesses are procuring goods from overseas suppliers. As such, enterprises must take every possible measure to ensure they don't fall into patterns that result in poor spend management and operational inefficiency. Here are four of the most common procurement mistakes that companies should know and avoid. Having a clear understanding of supplier practices is essential in evaluating the risks and possible sources of disruption that are inherent in sourcing partnerships. Companies that go into such relationships blindly may find their procurement strategies are misaligned with business goals, slashing profits rather than boosting them. In a column for Forbes, business attorneys Rick Frasch and Charlotte Zhanghaixia Westfall discussed some of the primary mistakes companies make when sourcing goods from Chinese manufacturers and noted that failing to perform due diligence regarding suppliers is one of the most common pitfalls. Frasch and Westfall suggested a number of strategies that companies might take in order to ensure that they have full visibility into prospective suppliers' operations before signing a contract, including checking online reviews and asking to see licenses. However, they also pointed out that the additional insight provided by in-person supplier visits can be essential. "When you talk to your potential suppliers face to face, you can often get a better sense of who they are as a person as well as assess whether they would be a good fit, even if you need a third party to facilitate the communications," Frasch and Westfall wrote. Because procurement is such a necessary business function, it can be tempting not to think of it as a driver of productivity and profit - but strategic sourcing can be critical in cost reduction. In a post for Supply Management, David Noble of United Kingdom Shared Business Services discussed his agency's new procurement role within the UK government. He emphasized the central value of boosting efficiency and demonstrating "real, measurable and substantial results." "The target to provide good quality care and services in a timely and cost-effective manner is a given, but how to achieve this is a much more complex issue and I don't believe anyone has the complete answer, yet," wrote Noble. This principle applies equally for private enterprises as it does in the public sector. Like any business process, procurement management needs to impact the bottom line. A broken sourcing strategy is one that doesn't drive results. That said, there are also more mundane mistakes that are easy to make in procurement. Frasch and Westfall pointed out that without written contracts with specific language, businesses won't have adequate protection if a supplier relationship goes sour. Invoices and oral agreements, they noted, are insufficient for this purpose. Furthermore, these contracts should also be reviewed by a corporate lawyer before being signed. Ideally, legal counsel will have a say in the initial contract draft, too. Supplier-side processes and their inherent risks aren't the only sourcing factors that can hamper productivity. An inefficient internal procurement process can limit firms' ability to obtain the goods and raw materials they need in a timely fashion. E-sourcing tools can help companies identify potential suppliers for a given product more quickly, in addition to streamlining request-for-procurement (RFP) protocols. Furthermore, RFX management solutions extend RFP processes to other requests that need to be made during procurement, unifying and streamlining documentation and the various approvals that are required in product sourcing.